Want to teach this at your university? See below. A new textbook is available! It is available as of April 2010, and it replaces the former "custom edition" used previously. The title is changed in order to distinguish it from the popular book. The text is now called Physics and Technology for Future Presidents. 3. It is cheaper! Only $49.50. We kept the price down so more people would use it. 4. It can be obtained from Princeton University Press. No longer a print-on-demand; this is a real book. 5. It has expanded end-of-chapter problems, and a teacher's manual is available. Want to teach this course at your university? The course is dramatically different from the traditional "Physics for Poets" approach. Many people who have tried it have discovered that it is much more fun for both the students and the professor. Nothing excites a student more than the discovery that he/she is learning something important. The textbook and teacher's solution manual (complete with a section on recommended pedagogy) is now available from Princeton University Press. 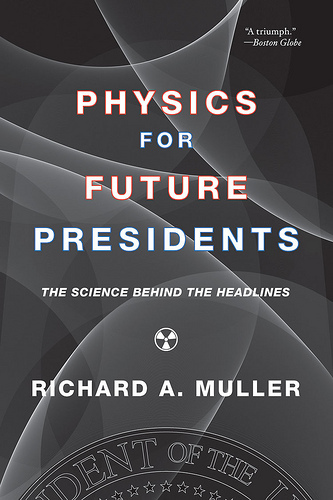 The text has been named Physics and Technology for Future Presidents to distinguish it from the popular book Physics for Future Presidents and from the earlier "custom" drafts (which were in black and white and unedited except by the author). Note that because we expect a widespread adoption of our approach we have priced the book very low: $49.50. In comparision, the most famous book for the Physics for Poets approach retails at $134.39. Earlier versions of our textbook have already been used at U. Chicago, U. Wisconsin, U. Kansas, U. Nevada (Reno), New Mexico State, and the course has also been taught at (I'm not kidding) San Quentin. 1. Attendance at the lectures is REQUIRED. (But it is easy to get excused provided you notify your GSI prior to the missed lecture.) Three unexcused absenses and your A become a B, or your C becomes an F. For more information see below. 2. HW is due in the first week. This includes both a reading assignment (due Thursday; there may be a pop quiz), and sending an email answering 14 questions to the instructors. See above. Additional homework will be required every week. See Weekly HW below. 3. This is an early drop course. If you are going to drop the course, you must do so by the end of the second week. If you don't, then you must take the course or get an F/NP. No prior physics is required. In fact, even if you had no physics in high school, you will not be at a disadvantage. Moreover, even if you are a physics major, you will find that most of the material is new. Physics majors spend so much time learning the math and to abstract calculations that they often do not get to the important results. This course is now open for physics majors too, in fact, is is an excellent supplement for your other physics courses. The course does use some math. But I have never had a student complain that the math was too hard. I expect everyone to be able to use calculator notation, the symbols used on calculators when the numbers are large or small. So, for example, one billion is 1E9. That means 1 followed by 9 zeros. (The "E" stands for "exponent", and really means "10 to the power of".) Likewise, one billionth is written as 1E-9. This is equivalent to what is called "scientific notation." There will be a discussion of such notation in the discussion sections in the first week. In addition, you need to be able to find square roots. That means that for homework and exams you probably should have a calculator that will do this. Quick review: take the square root, multiply it by itself, and you'll get the number. Check your knowledge by verifying the following examples. If you have trouble, come to the first discussion section with questions and requests for review. The information below is for the prior semester, Fall 2009. Dec 2009. I've posted all of the scores for HW, quizzes, and midterms, by secret name. (Unfortunately, some of the GSIs did not enter all of the secret names into the spreadsheet; so if you don't see your secret name here, contact your GSI.) Please check these, and report any errors to your GSI prior to the final exam. The scores are posted here. Novermber. The seat assignments for the 2nd midterm are here. 5 Nov. I posted the plots that I showed in class this week on the topic of climate change. Aug 30. There have been some minor changes in the GSI discussion section assignments and in their email addresses. Several have posted their telephone numbers. Check below. I've also added Jason Rose to our list of GSIs, and put his name on the quiz slips. I have also made a minor change in the calendar/schedule since the University cancelled classes on Dec 8. The Tuesday before Thanksgiving is attendance optional; however, if you don't come, then you must make up the lecture by watching the webcast. Note that reading of the short Chapter 13 is due on that day. Be sure to read it even if you are leaving early for Thanksgiving. Discussion sections and GSIs. Look up the name and email address of your GSI. You'll need this for quizzes. 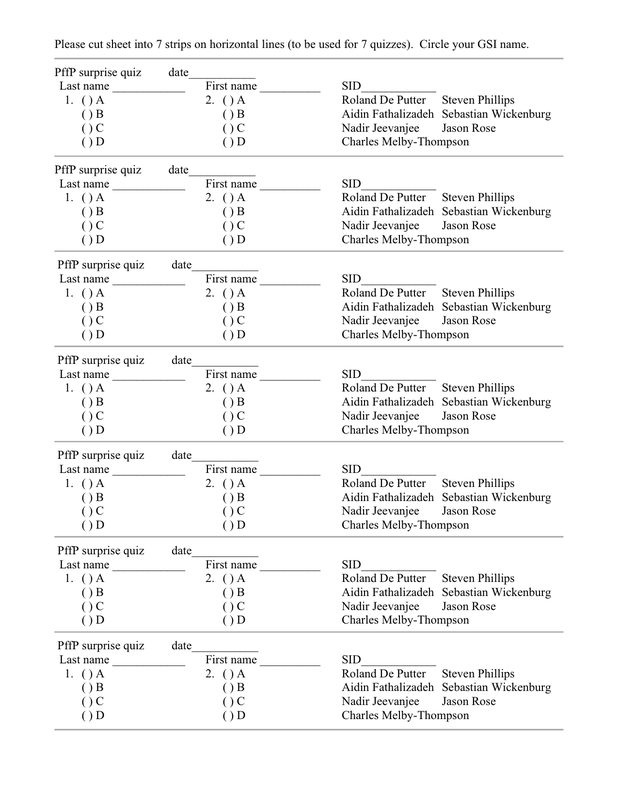 Download a page of quiz slips.in either pdf format (best for printing) or png (works better with old browsers). Cut it into seven individual slips. Circle the name of your GSI (see below) and bring them to class for surprise quizzes. Lecture Webcasts and Podcasts for Fall 2009 If you miss a lecture you can find it here. Note: if you know you must miss a lecture, then email your GSI with your excuse and your request to be excused. This must be done before the lecture starts. The list of GSIs is posted. The schedule and HW assignments for the semester are now posted: Schedule & HW. Note that we hit the ground running: the first reading assignment, Chapter 1, is due on the very first lecture! There may be an (easy) pop quiz to see if you did the reading. Start early -- it is a long chapter. Also you 'bio' is due on that date. Instructions for the bio are here: bio instructions. : The Syllabus is posted above. We will soon put the syllabus on this website. In the meantime, you can look at the notes and syllabus from last semester to get an idea of the course. In the body of the email itself, copy the following list of questions and put in your answers after each one. 12. Why are you taking this course? 13. Team membership, if any. (What position? What event?) Do you work (earn money), or plan to work? 14. Tell us about yourself. What do you do when not studying? Participate in sports? Work? Play a musical instrument? Write? Compose? Sing? Dance? Watch movies, sports? Politics? Activism? Read? (Fiction? Nonfiction?) Fix cars? Cook? Join any clubs? Volunteer? Ambitions? Anything about yourself you are willing to share. Don't be shy. Then send the email (make sure the subject header is correct first, i.e. LastName, First, Student ID, PffP bio) to both instructors: jacobsen@berkeley.edu,ramuller@berkeley.edu. If you do this correctly (right header, etc.) then you will be granted one quiz point. Submit it incorrectly and you will get 0 quiz points. Fail to do it and you may be dropped in favor of a waitlisted student. We apologize for the formality of this, but we have about 400 students, and unless it is done correctly, our computers can't sort them without our intervention. Final exam (Chapters 1-13): Tuesday Dec 15 at 8 am! 6. Prerequisites. No big deal. See below. 7. Schedule of HW, reading, and lectures has been posted. You'll see we cover about 1 chapter each week. It's a brisk pace. 8. Quiz slips. . You may need one on Thursday (if there is a pop quiz on Chapter 1). Print out a page, and cut into 7 slips. Bring extras with you, in case someone nearby needs one. (Good way to make friends -- or money, your choice.) You can download them in pdf format (best for printing) or png format (best for old browsers). Please note that if you take this class, attendance at the lectures is REQUIRED. So please don't sign up unless you intend to get there every TuTh at 9:30 am. If you do make it on time, I promise to make it worth your while. My goal is for this to be the best course you have ever taken. If there are times when you can't make the lecture (you are off competing on a team, or you have to pick up a friend at the airport), then you may be excused provided that you follow the following procedure prior to missing the class. I check attendance (and reading) by giving surprise quizzes. For these, you should bring with you a few copies of quiz strips. Print out a page, and cut into 7 slips. Bring extras with you, in case someone nearby needs one. (Good way to make friends -- or money, your choice.) You can download them in pdf format. The text of your email excuse should be your reason for missing lecture. It could be due to illness, or a need to pick up a friend at the airport. Don't be creative; be honest. If there was some reason that you could not send the email prior to the lecture, then send it afterwards to your GSI with an explanation for the lateness. IMPORTANT: For those enrolled in the course there are three HW requirements for the first week of classes. HW 1. This is a reading assignment: read Chapter 1 and be prepared for a brief quiz. I've put this chapter online, in case you don't yet have the book yet. it is available in both html and pdf formats. HW 2. Read this page (which is the syllabus) to see if there is anything else applicable to you. HW 3. Submit your bio. On the following Tuesday Sept 1, the first of the weekly assignments is due. See below. The HW and reading is given in the posted schedule. You will read the entire textbook. Typically, we will cover one chapter each week. Reading is due by Thursday lecture, as posted in the schedule. You are NOT required to answer the questions at the ends of the chapters. Those are only to test your knowledge, and are for your own private use. Most of them were taken from previous quizzes or exams. -Do NOT use ScienceDaily.com unless you are cautious. could lead to a lower score for you. -NEVER use the Yahoo science page. It is too frequently low quality. Your homework grade will be 0 (if you didn't hand it in), 1 (if you did a poor job), 2 (if you did a good job), or 3 if you did an exceptionally good job (only for the best two or three emails for that week). I plan to post the best submission every now and then so that others can see what we like. Note: you do NOT have to understand the article you read, as long as you can clearly state what aspects of the article you did not understand! Try to write something that other students will find interesting. and paste into an email. class or ask relevant questions. Half of the homework grade will be based on the quality of the writing. Imagine that you are briefing the U.S. President on an issue that you consider important. Your essay should be a pleasure to read! You will lose credit if you have more than one misspelling, or have any error in grammar (run-on sentence etc.). If English is not your primary language, please state your primary language at the beginning of the email. Late homeworks are usually not accepted, unless there is an extraordinary excuse. The fact that you had an exam the next day, or a huge project, is not extraordinary. You can always prepare your homework a week or two in advance, but please don't submit it more than a few days in advance of the due day. Email your excuses to your GSI, not to Muller. Exams. We will have two midterm exams and a final exam. Each exam will have an essay question and a series of multiple-choice or otherwise short questions. The first midterm exam is scheduled for Thursday 1 Oct, 2009, in class (9:30 am). If you cannot be present at that time, contact Muller immediately. The exam will consist of two parts: approximately 20 short questions and an essay question. For sample exams, see the old exams from previous semesters. To see how the GSI will grade the essays, look at essay guidelines.To see some essays that scored a perfect 20 in past semesters, see explosions and nukes. The second midterm exam is tentatively scheduled for Thursday 12 November. It will be in class, and similar in format to the first midterm. If you cannot be present at that time, contact Muller immediately.For sample exams, see the old exams from previous semesters. To see how the GSI will grade the essays, look at essay guidelines. To see some essays that scored a perfect 20, see eyes and Greenhouse effect. The final exam is scheduled for 8 am (!!) on Tuesday 15 December. If you cannot be present at that time, contact me immediately. If you have other exams scheduled on this day, consider dropping those classes; we will not give you the final exam either early or late. The exam will consist of two parts: approximately 40 short questions and one or two essay questions. It will be like two midterm exams. For sample exams, see the old exams from previous semesters. The grade distribution will be approximately the following: 30% of the students will earn an A, 45% a B, and 25% a C or below. This is the same distribution that is used for Astronomy 10. Beware: it is easier to earn a C than you might think, and it is not hard to slip from a C to an F (all you have to do is have three unexcused quizzes or HWs, in any combination). Every semester I have students who got a C, and write me saying that now they can't register in their chosen major, or they will lose their scholarship, and they seek my help. All I can do is cry with them. The easiest way to get a C is to miss a few quizzes or forget to hand in a few homeworks. For permission to hand in your HW late (or to do one that you missed) you must seek permission from your GSI. For exam issues, I (Muller) am the only person to contact. Cheating:. Two years ago I flunked two students who were talking to each other on the final exam. (They said that they were only discussing how to spell a word.) I consider that very light punishment. In the future, I am determined not to be so lenient. Last semester I caught 8 students cheating on quizzes -- in some cases having others take the quiz for them. They were also severely punished. GSI information. The names of the GSIs and the discussion sections they teach are listed below. Learn the name of your GSI; you will need to know that to put on quizzes, exams, HW. Office hours have now been posted. Visit any GSI. Get to know them all! Office hour are held in 473 Birge Hall. His email address is ramuller@berkeley.edu. Equally good (and shorter to type) is ramuller@lbl.gov. After class, on Tuesdays and Thursdays 11-12, in 390 LeConte. You may call him at his cell phone (510) 735-6877, before 10 PM, if possible. For an emergency, call any time. 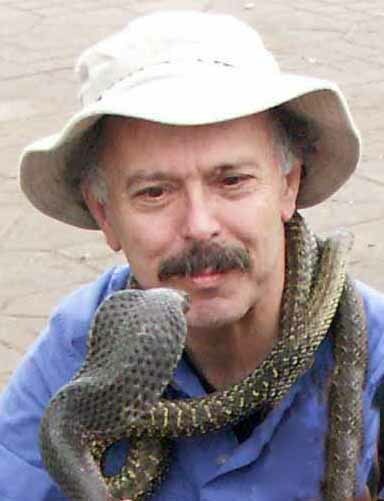 His personal and research web site is www.muller.lbl.gov. His email address is jacobsen@berkeley.edu. His office hours will be posted here. 15 May. The GSIs have prepared review notes from Wednesday's review session, and they are posted here: 11. Quantum Physics; and 12&13. Relativity and the Universe. Prior review notes are still posted: Midterm 1 chapters; For Midterm 2, review notes for Chapters 6, 7, 8, 9, 10.are posted separately. March 31. I've posted the letter grades. These may be misleading, since the full 80% of the exam grade was set by the first midterm; in the end, that midterm will count for only 20%. So your A could ultimately become a C; your C could become an A. Continue to work hard. March 10. I've posted the midterm grades, including quizzes and HW. Please report errors to your GSI within the next two weeks. (Feb 25). I've posted the Midterm 1 seat assignments. (Feb 21) I've posted the combined review notes of the GSIs who gave the midterm review. GSI office hours have been posted. Visit a different one each week! Miss a lecture? Past lectures for this semester are now available online. I've posted the GSI discussion section assignments. Learn the name of your GSI (you need to know it for pop quizzes). phone (before 10 pm): 717-497-0878.
phone (only before 10 pm): 510.325.6973.
office hour: Tues 11-12 in 473 Birge. Discussion Sections: Below is a list for the Spring 2009 semester. The initial GSI assignements will be shown in the table below. Send your Thursday HW and your requests for excused absences to your GSI. Not sure if you should take PffP? You will learn important things. Look at some of the old exams. Would you like to be able to answer these questions? After taking this class, the average student got 75-80% of the questions correct. Imagine yourself, one semester from now, feeling comfortable and competent with this material. Afraid of math? Don't avoid this class because you are afraid of math. Some math is required (see math) but I have never had a student complain that the math was too difficult. Hate physics? So do about 30% of the students who enter this course. They swore they would never take physics again, usually after a bad experience in high school. This course is different, rigorous, but designed for the liberal arts student (also pre-law, pre-everythingelse). Never had any physics before? Don't worry. The same is true for about 35% of the students who take this class. You will not be at a disadvantage (or at least only a minor one). Very little of the material we cover is taught in the typical high school courses. Even less is taught in AP physics. Watch a sample lecture. 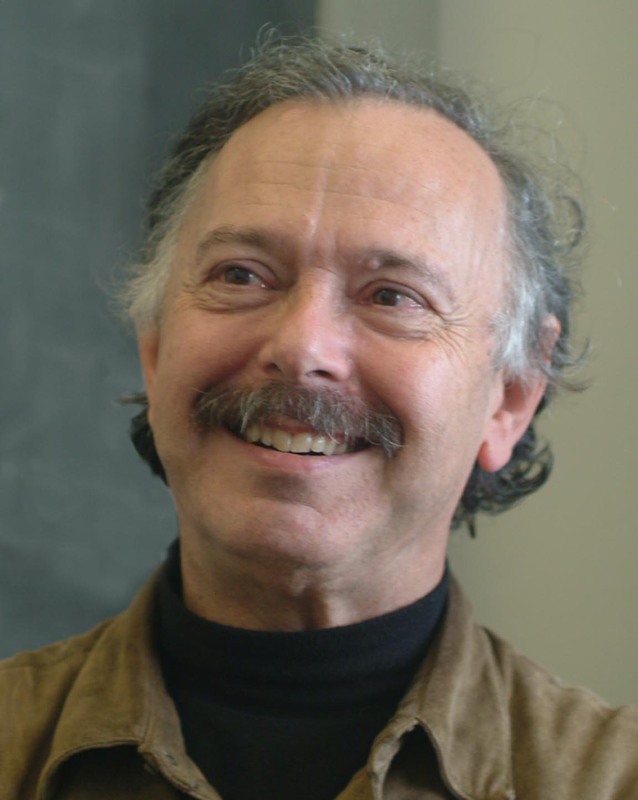 If you're still not sure, watch the beginning of my first lecture from fall 2006. The notes below are for the prior semester, fall 2008. I include them here for previous students. Monday 24 November. I've posted the updated grade sheet, including recent quizzes and the second midterm, as well as the computed letter grade. 80% of the letter grade, the exam part, comes from the first two midterms.For your final grades, these two midterms will count 40% and the final exam 40%. So you still have lots of opportunity to raise (or lower) your grade. The grades are posted here. 11 Nov. 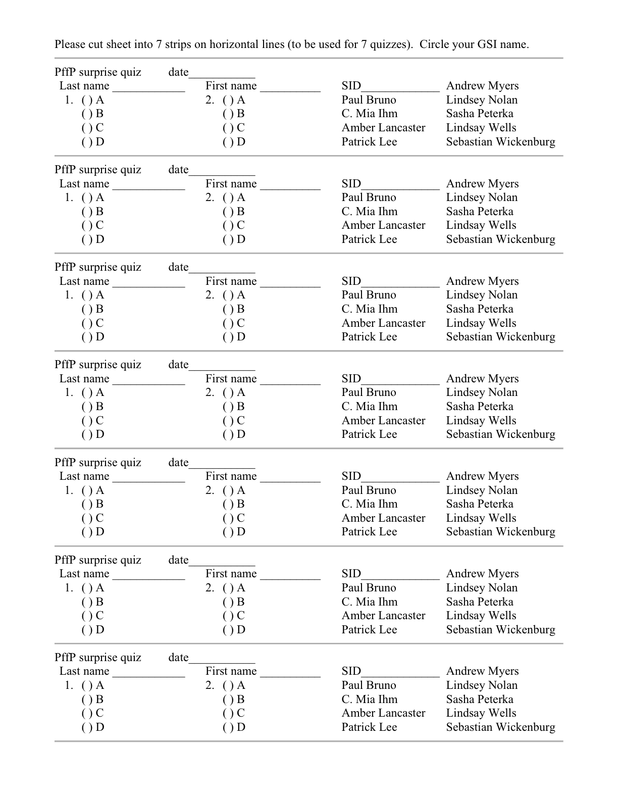 I've posted the seat assignments for Thursday's Midterm Exam in two formats: pdf and browser. I've posted two excellent essays from the midterm exam. These can help give you a sense of what we were looking for. Congratuations Catie and Liam! Sunday 12 October. I've posted the midterm grades. If you don't remember your secret name, or forgot it, please email your GSI, not Muller. (And apologize when you do; one purpose of the secret name is to avoid unnecessary emails to your GSI.) A score of -99 means you were excused. Important:for these grades, I assumed that the midterm counted for all of the 80% of the grade that is determined by exams. At the end of the semester, this first midterm will count for only 20%, not 80%. That means your grade can change a lot, up or down. Also: check to make sure your grades were entered correctly; we will accept corrections only during the next week. The grades are posted here. The assigned seats for Midterm 1 are posted. office hour: in 473 Birge, Weds 2-3.
office hour: in 473 Birge, Tues 1-2.
office hour: in 473 Birge, Weds 4-5.
office hour: in 473 Birge, Mon 3-4. Last semester's lectures are being recorded and can be watched here: webcasts/podcasts fall 2008. Wednesday Aug 27. I've created quiz slips. You will need one if we have a quiz on next Tuesday. Bring extras and you can give them away and make friends (or sell them and make a profit). They are in both pdf and image formats. Monday Aug 25. I've posted the names of the GSIs, their contact information, and a table that shows which discussion sections they teach. Your GSI will be grading all of your HW and all of your exams. Learn the name of your GSI; that will be required on our pop quizzes. Monday Aug 25. I've posted a new version of the PffP calendar, better formated. You can look at his either as a pdf or as an image. Don't forget, however, that the very first HW, your "bio", is due by Friday Aug 29 at 11 pm. Sunday Aug 24. I have posted the Fall 2008 versions of Chapter 1 Energy html or pdf, and Chapter 2 Atoms and Heat html or pdf for those of you who do not yet have your textbook yet. Aug 20. I posted the PffP calendar for this semester, Fall 2008. This includes all HW, lectures, and dates for the two midterm exams and final exam. I do not give exams except on the fixed dates; if you are on a team and are traveling on those dates, we can usually arrange to have your coach give the exam. The Spring 2007 KGO ABC7 story about our class can be viewed online. Be sure to watch the video too. The link is: Top Universities Offer Free Lectures Online. You can also read the older SF Chronicle newspaper story about our course. I was recently interviewed on KQED radio about my new popular book, and that interview can be heard or downloaded here: Interview on KQED Forum.